After a free morning pick-up service (selected hotels only), you will leave London and travel by air-conditioned bus to the majestic Windsor Castle. Home to the British royal family for 900 years, Windsor is the oldest and largest occupied castle in the world and is considered one of the best in England. Explore the opulent royal apartments and St George's Chapel with your guide, and learn about the castle's fascinating history and heritage. Continue along the rolling, green Wiltshire countryside to Stonehenge, a group of menhirs who were dragged to this lonely plain near Salisbury 5,000 years ago. 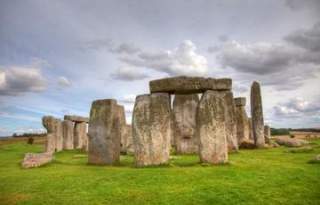 This ancient stone circle remains a place of great spiritual significance, and continues to capture the imagination of the many visitors who visit it each year. Why the stones were placed here and for what purpose they are still a mystery, so take a walk around the enclosure at your own pace and decide for yourself why these ancient rocks are here. Take a look at the visitor center and learn about the history of this ancient and mysterious place. Then get back on your bus and continue to Bath, famous for its elegant Georgian architecture and widely regarded as one of the most beautiful cities in England. Follow your guide on a scenic tour of Bath and enchanted by the beautiful streets and alleys, and photograph all the places with the camera along the way. You will see the Abbey of Bath and the much-photographed Pulteney Bridge, an imitation of Florence's Ponte Vecchio. During the tour you will also visit the city's most famous Roman Baths, the best preserved Roman spa in antiquity. At the end of your stay in Bath, travel back to the Victoria bus station in London, where your day trip will end. The tour ends in Victoria.